Despite what you may think, books are in demand! Here is more about this industry. The internet has changed the way we consume almost all traditional forms of media. Therefore, there was a panic among book lovers that their treasured books would all but disappear like the vinyl or photographic film. This, however, is not the case. eBook sales are down, and book sales are up- great news for the bookshop industry. Independent bookshops are even managing to draw in customers in the face of huge competing online retailers. Despite our constant access to screens, more people are reading now than ever. More than just reading, people are buying books! Books have also become things that we buy because of what they say about our personalities. In a transient world, having physical books on the shelves in your living room is desirable for what it can say about you to your guests. In fact, books, have remained almost the same for a very long time and the introduction of eBooks to the market seems to have been a passing gimmick that consumers are now abandoning. While this is excellent news for the future of books, distribution and retailing are changing rapidly. A lot of books are now being bought online through websites such as Amazon. So, what can bookshops do to keep profitable? 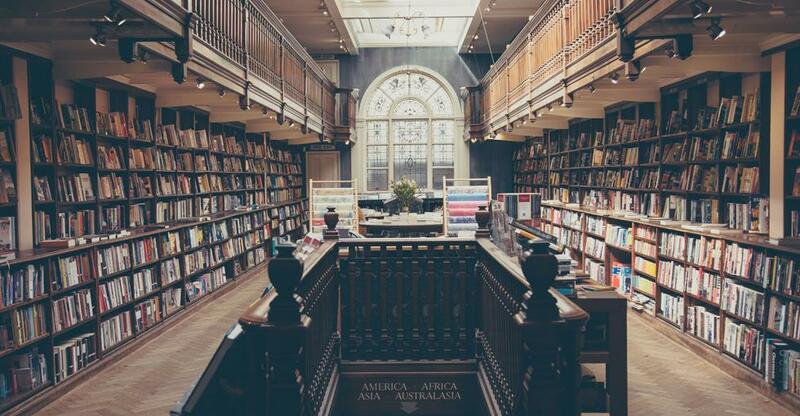 There are a lot of independent bookstores that have defied the odds and increased their sales year on year by making their bookshop more than just a place to purchase books. These shops have stressed local community values and are curating the books that they sell and the experience that their customers have when they come to the bookshop. For example, if you were to focus on the idea of being an intellectual meeting place that can recommend idiosyncratic or academic books, you could draw people to come and buy from your shop rather than online. Although many were worried about the fate of bookshops a few years ago, an independent bookshop that adapts to what people want can be very successful. Creating partnerships with other local businesses, hosting events and stocking niche books that will draw your market in are all great ways of keeping your sales up. The bookstore has been a romantic part of our lives for decades and, if you tap into the right market, you can appeal to people who don’t want to lose that. Bookshops can become spaces that provide what technological advancements cannot in the form of physical meeting spaces. If you are looking to buy a bookshop, you need to think carefully about what it is about your bookshop that will get people to come in and buy from you rather than from an online retailer. Having a passion for people and a good knowledge of books will go a long way in making your bookshop the place that people want to come to. Research the market that you want to appeal to before you buy a bookshop and make sure that the one that you choose is in the right area. Tan Dillon, owner of the Village Bookshop in Essex, discusses the process of buying his shop. When its time to sell your bookshop, this is what you need to know. We spoke with Tan Dillon the owner of The Village Bookshop and offer some insight into the future of the retail book shop trade.